Report of our second visit to the USA in 2016. 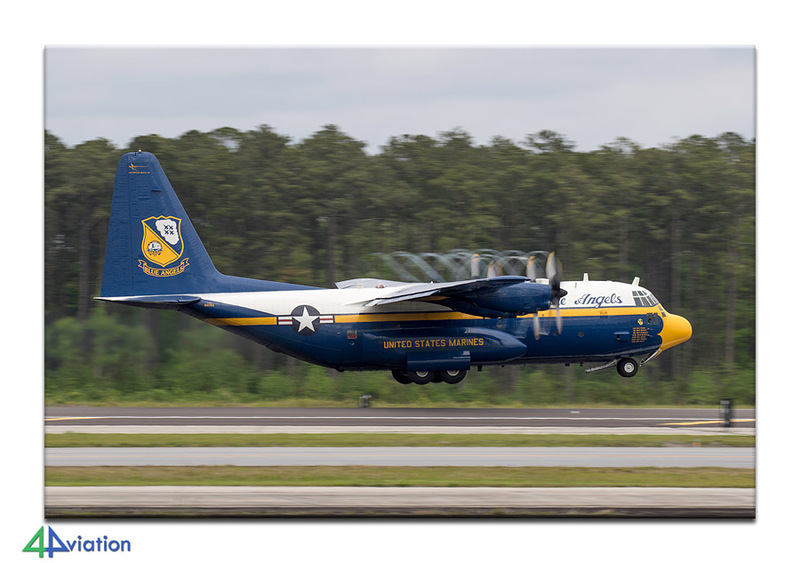 Centerpoint of our attention were the Joint Base Langley and MCAS Cherry Points air shows in April 2016. 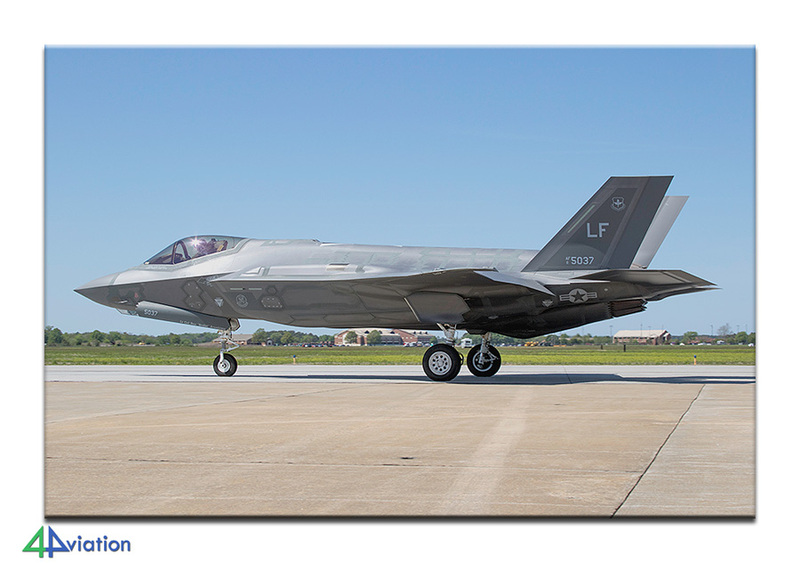 Saturday (23 April) the open day at Langley AFB was scheduled. We could quite easily and quickly access the field and park near the ramp. In advance we had arranged press passes but these were not present yet. After a short check we could enter the ramp, at least where the open day was held. Because of the limited number of visitors, we could shoot the majority of the aircraft without the crowds. Also the airshow performers could be photographed very well. Unfortunately the weather deteriorated in the afternoon with rain and storms resulting in a cancellation of the whole show at three o’clock. 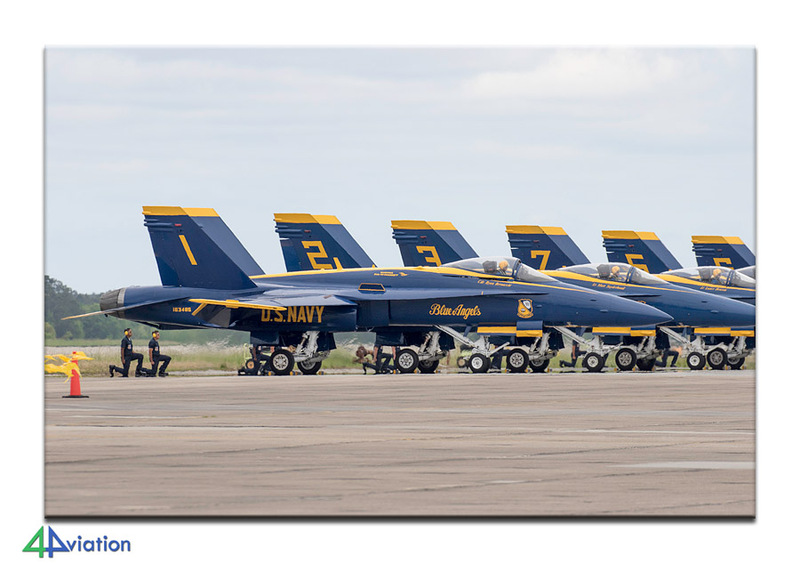 This was at the time that the F-22A, F-35A and the Thunderbirds were scheduled to fly. Luckily we had another day to spare. Once everyone was gathered at the cars we drove to Norfolk. After some searching we found a parking garage from where the many E-2s, C-2A and SH-60s could be seen. A P-3C Orion could be captured beautifully on the ramp. We went for dinner in Norfolk and then back to our hotel for some drinks outside. Later in the evening we picked up the three number crunchers at the local airport. They also had a nice day with more than 1,000 kilometres behind them (through several different states). Sunday 24 April. 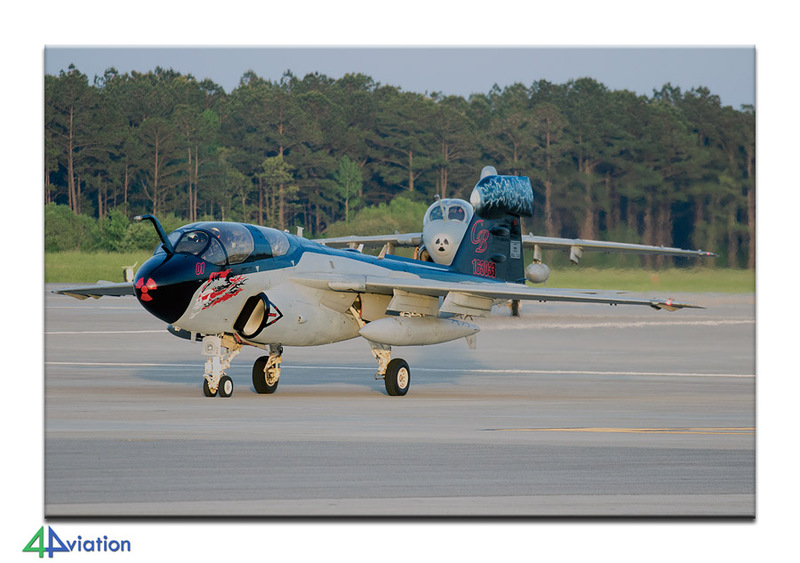 Langley AFB Open House rematch, now with glorious weather but a bit cold. The checks were slightly stricter than the day before but we entered the airfield quickly and were able to park in the same parking lot. 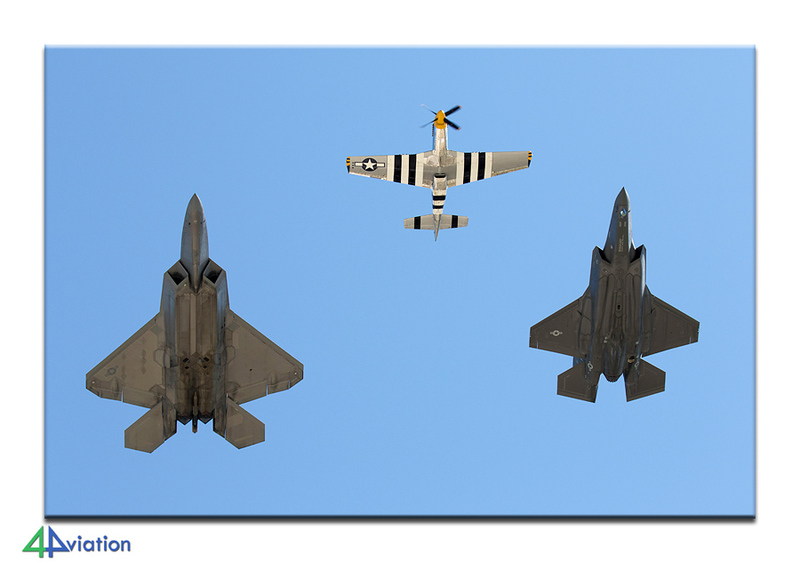 The aircraft we could not photograph properly yesterday went okay now, including flying demonstration for the F-22A, F-35A and the Thunderbirds. During the show we were located at the ‘press’ spot in front of the fence, opposite from the Thunderbirds. We stood very close to the taxing aircraft… After the Thunderbirds-show we walked to our cars at ease followed by taking some pictures of some of the preserved aircraft at the base. Then we had another stop at our favourite Norfolk parking garage. 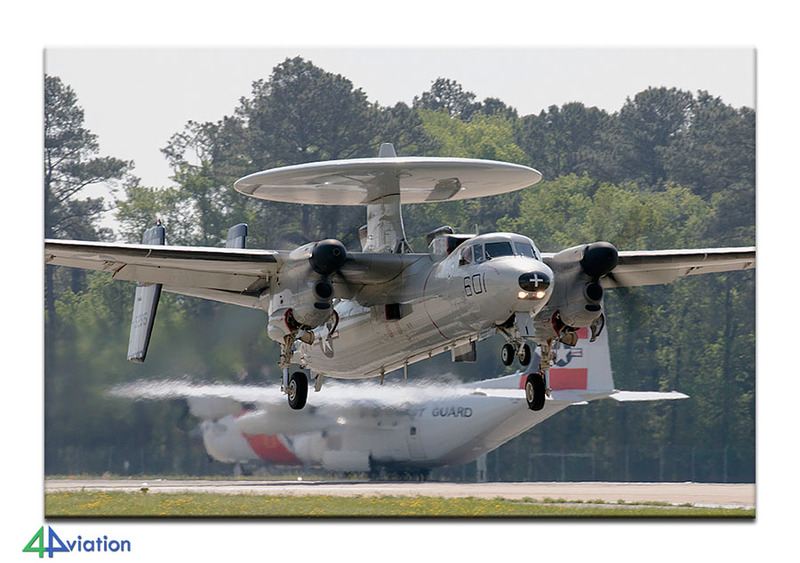 An E-2C was test running its engines and a C-2A Greyhound came to stop by using the cable. The P-3C was joined by a German A310. After a few photos we were made aware that we were not really welcome here and started to pack up. The next stop was our hotel in Virginia Beach. A nice hotel close to the sea. It was a long but fun day. 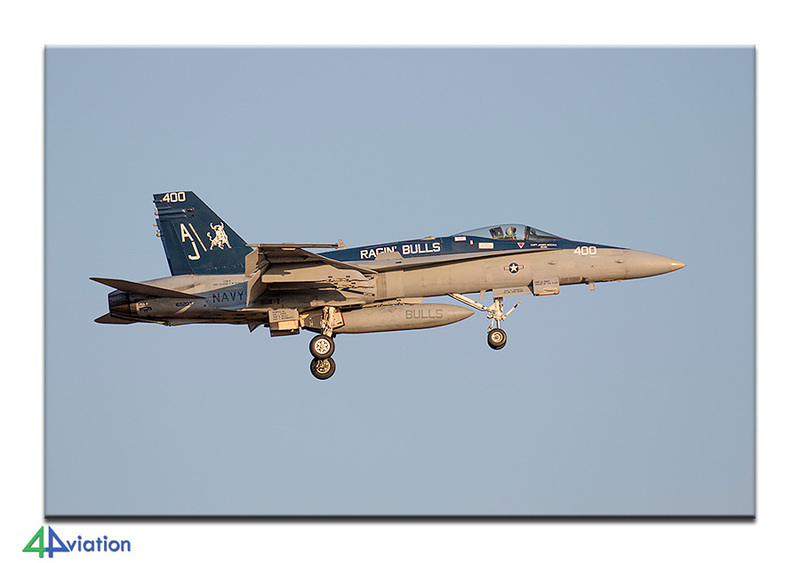 On Monday morning (25 April) we drove to the approach of NAS Oceana at half past eight in the morning. We quickly found the spot and after the first few landings we relocated to the ideal spot to capture the many Hornets on photo. Today was ‘shorts’ weather. Nice weather and very busy with the Hornets. What else do you want? At about four we went to the other side of the runway as the sun was in a better position there by then. Fortunately one runway was out of use, so no difficult choice where to stand. We stayed till about half past eight when the lights went out. However, the Hornets continued flying which could very well see and, especially, hear from our hotel. On Tuesday, 26 April, it was the same recipe as yesterday but we started a little earlier. Three cars left for the approach at Oceana and one car headed for the airplane museum in Virginia Beach, followed by a boat tour of the harbour. 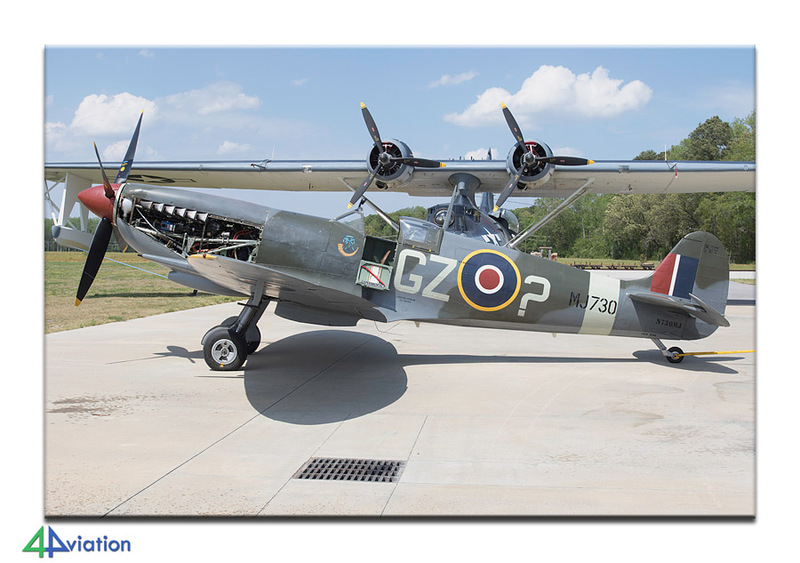 At noon two other cars went to the aircraft museum in Virginia Beach. 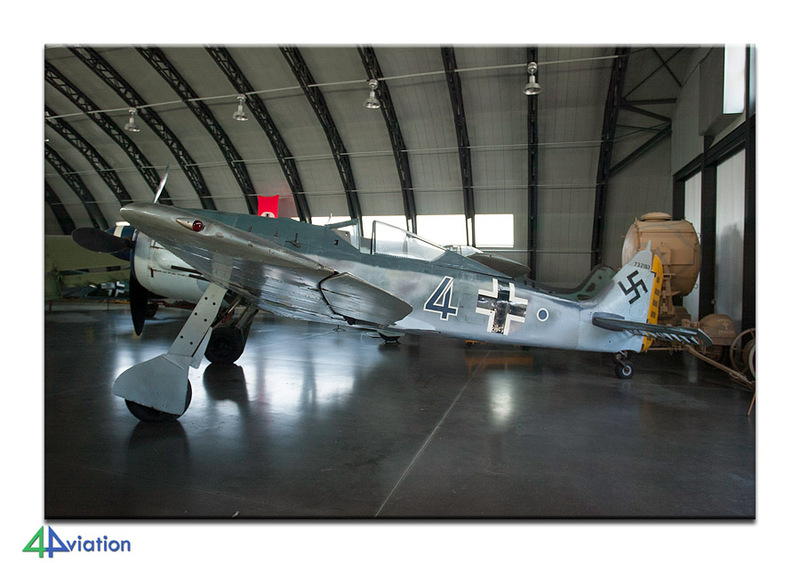 A nice museum with a very nice private collection of primarily WWII aircraft including some original Russian. They were very relaxed and after the official tour we could stay to witness and capture the start-up and taxiing of a British Spitfire. 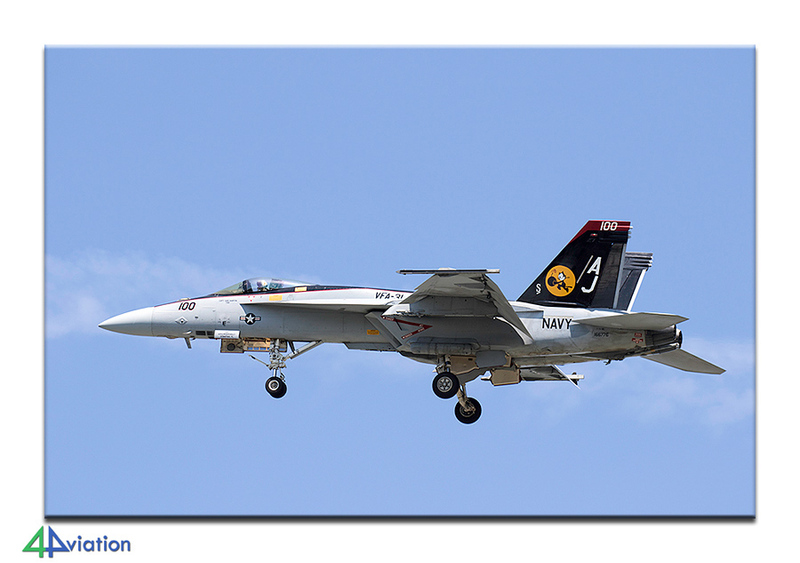 Around four o’clock we returned to NAS Oceana to deal with some more Hornet noise. The harbour group returned shortly thereafter so everyone was together again. After two days at Oceana over 90 different Hornets seen! We stayed until it was dark enough for some night photography. It was a hot, but fun day again. Time to go to bed as the alarm would sound early again the next day. For Wednesday, 27 April, a visit was arranged with USCG at UCGS Elizabeth City. 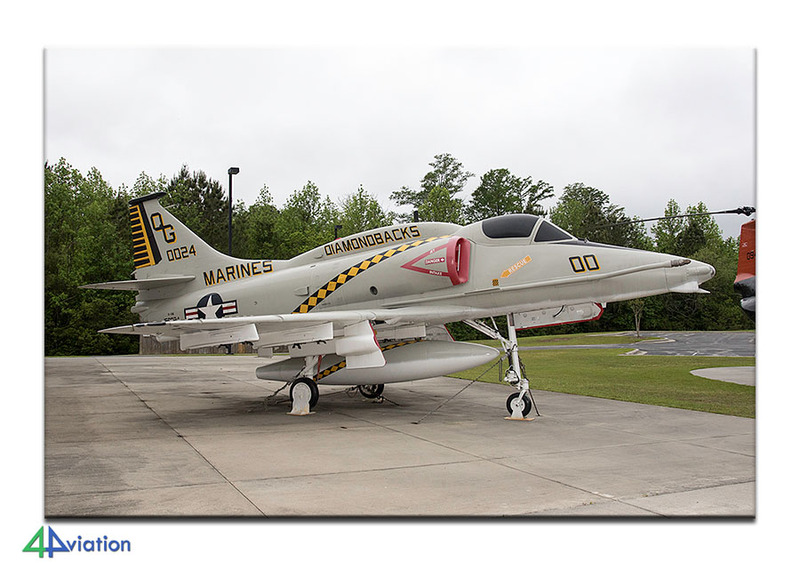 We had expected a short visit after which we would go to Seymour Johnson AFB. It went it different however. Our hosts were very helpful and everything was possible. After the first pictures on the ramp of the first HC-130J and MH-60T (in special yellow anniversary jacket associated with 100 years USCG), we were given a briefing on the roles of the USCG and especially the USCG at Elizabeth City. A nice briefing included a movie of several missions. 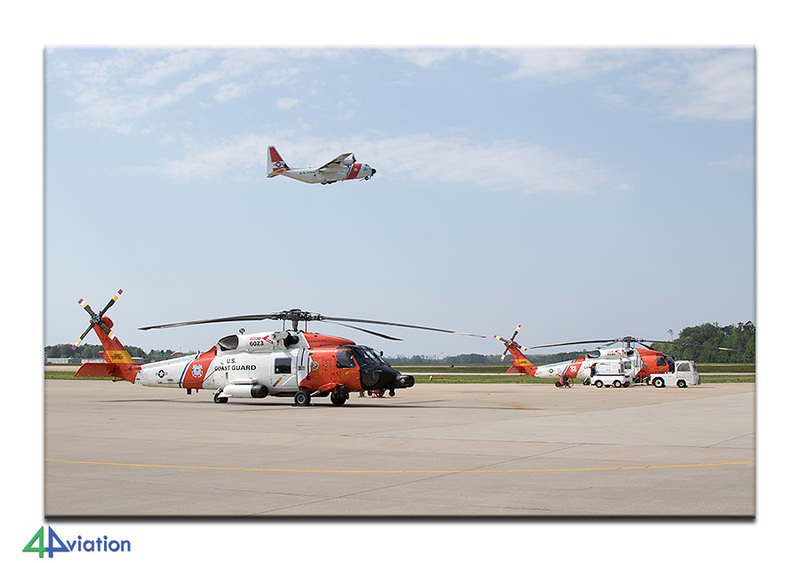 After the briefing we went on the ramp and everything could be photographed; In total we saw five of the six HC-130J, one recently delivered C-27J (C-144A indication within the USCG), still in its USAF colour scheme and four MH-60Ts. 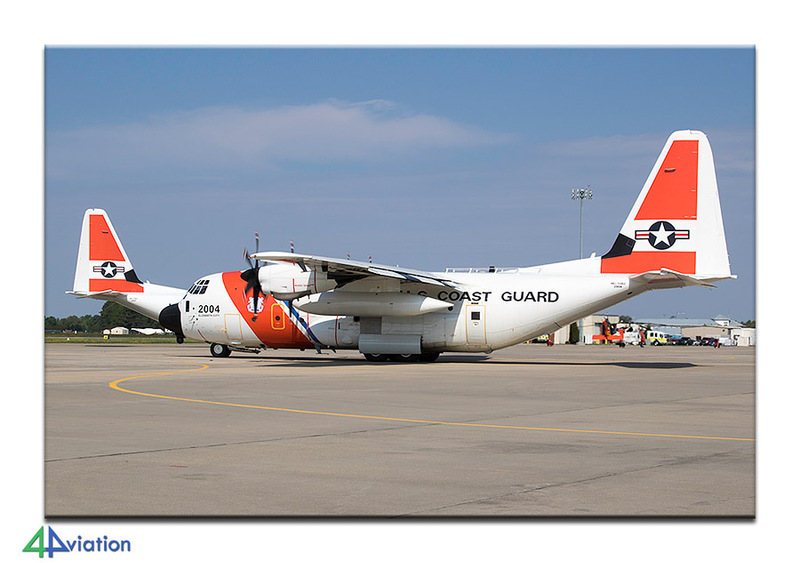 In the meantime two E-2Cs and a C-2A made touch and go’s. 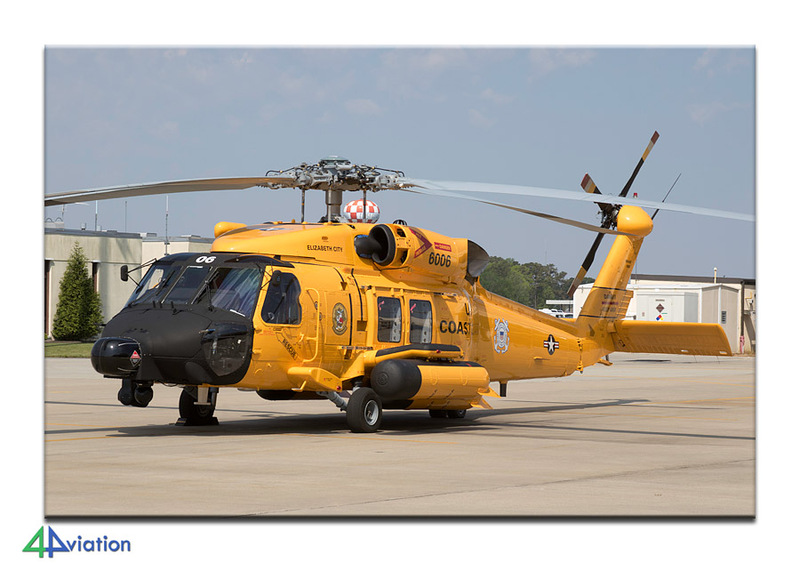 After the group picture we left the airfield via the gate guards and three MH-47G that stood at the side of the field, and headed for Seymour Johnson AFB. The drive to this field fighter is very nice sightseeing tour over the country roads. 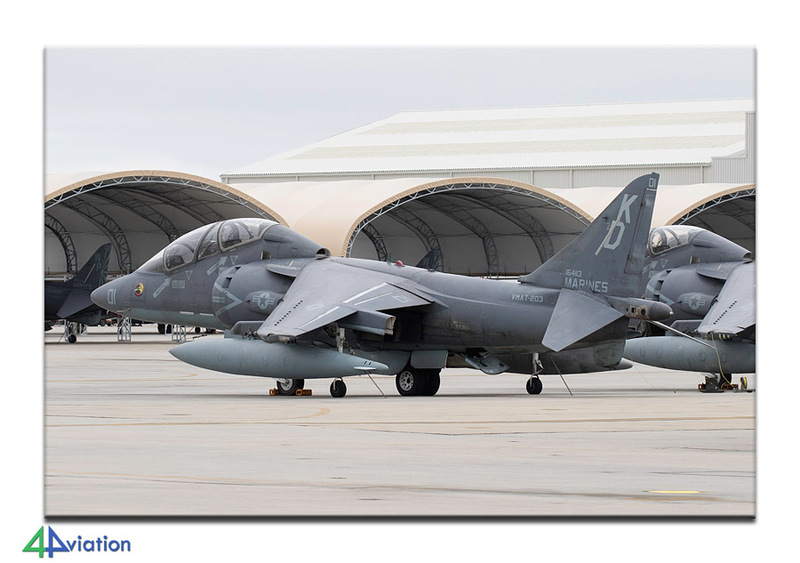 When we arrived at Seymour Johnson we saw a pair of F-15E approaching. By the time we had found a decent spot it became quiet. Could this have to do with the E-4B that stood on alert? The local militia of 70+ thought to have found a terrorist cell and soon the police and the security of the base was called… soon we got various police and other security agencies to visit and almost all at once… In the end, after various checks and showing our email correspondence with Public Affairs we were allowed to stay. By then we had found a good spot in front of the control tower. Just when we decided to leave the Eagles were starting up. Unfortunately it was very dry and the local farmer found it necessary to work on the field, where we were, with his tractor resulting in witnessing nine Eagles taking off in a nice cloud of dust…. At six o’clock we left for our hotel in Florence where we arrived around 10pm. 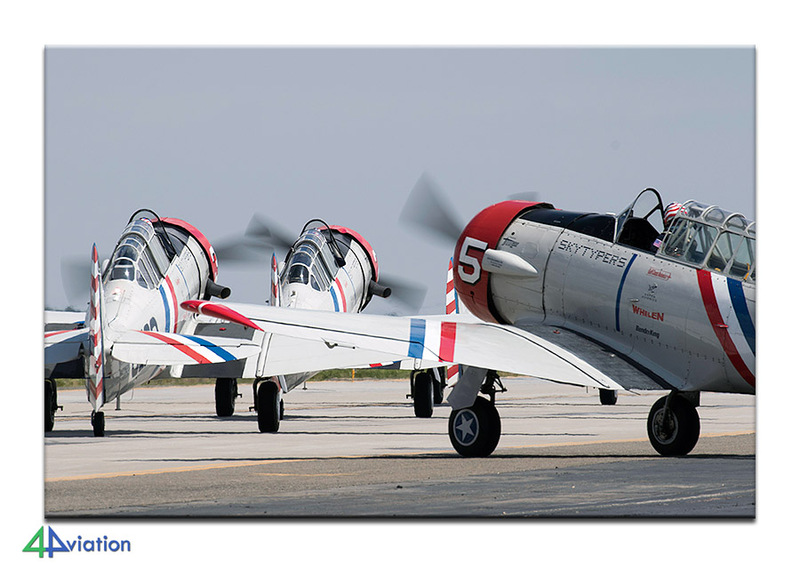 Thursday 28 April was the big split-up day; Two cars went via McEntire ANGB and the USS Yorktown to Charleston AFB and the two other cars via Shaw AFB and McEntire ANGB to the same final destination. 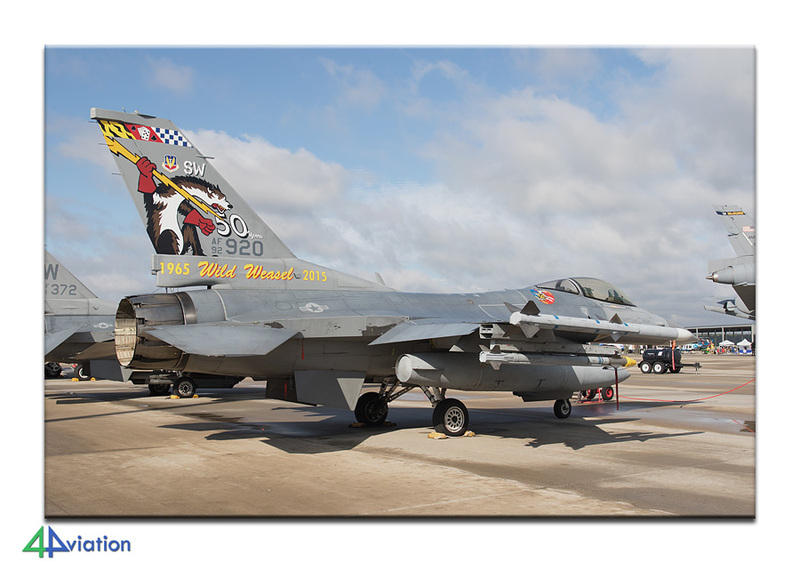 Unfortunately only two F-16CMs flew from Shaw and McEntire was even quieter, noting happened there. However, the visit to the USS Yorktown was very worthwhile. 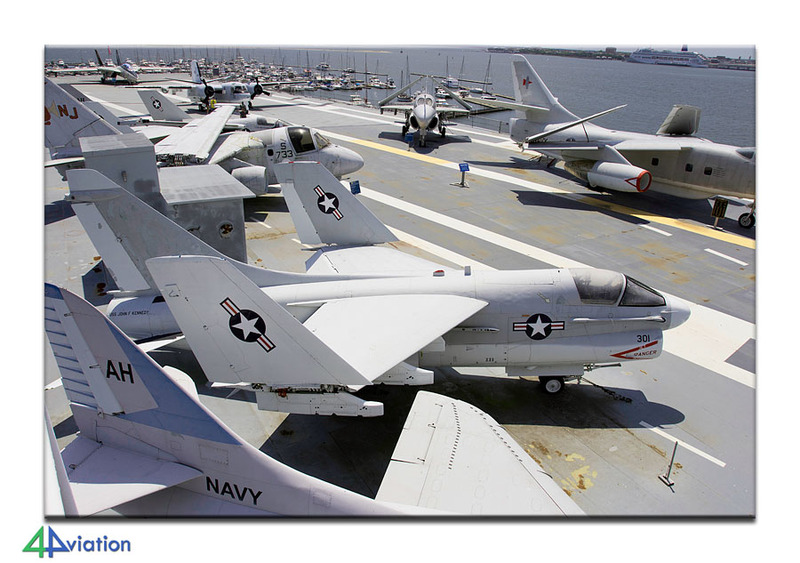 It is not only the carrier, but also the Vietnam display, with all kinds of vehicles and helicopters. Fortunately, during the day the weather was fine. By evening it started to rain heavily with some thunder. We agreed to meet up at Charleston AFB and from here we drove together to our hotel, where we arrived at nine o’clock. On Friday (29 April), the 82nd Airborne Museum was first on the program. 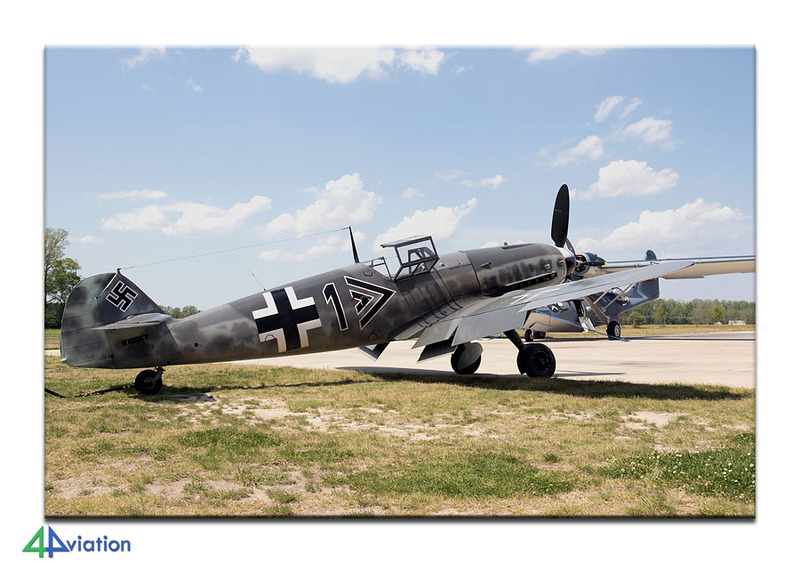 However, when we arrived we were told we needed a sponsor to access the airfield, no foreigners were allowed on base. Discussions were useless (the museum websites states that visitors can access the base and this was also confirmed to us by the museum staff afterwards upon request). 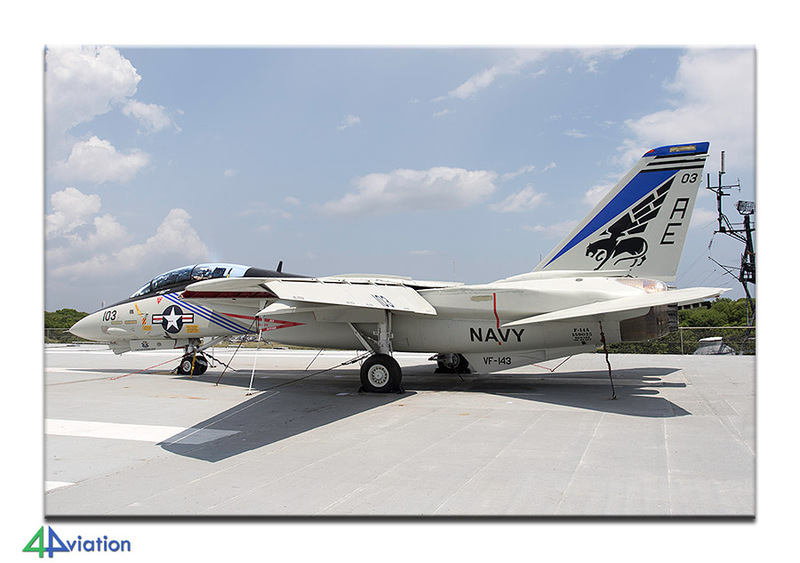 Instead we headed for our main goal of this day; the open day at MCAS Cherry Point. Here too, we had arranged press access in advance. Having arranged the formalities at the entrance, we were taken to the ramp in groups where a separate section was made for us. We were able to move freely so that was nice. Food and drinks were also available, so everything was thought of. Between the clouds, the sun occasionally showed its face and it did also in the afternoon, the best part of that day. 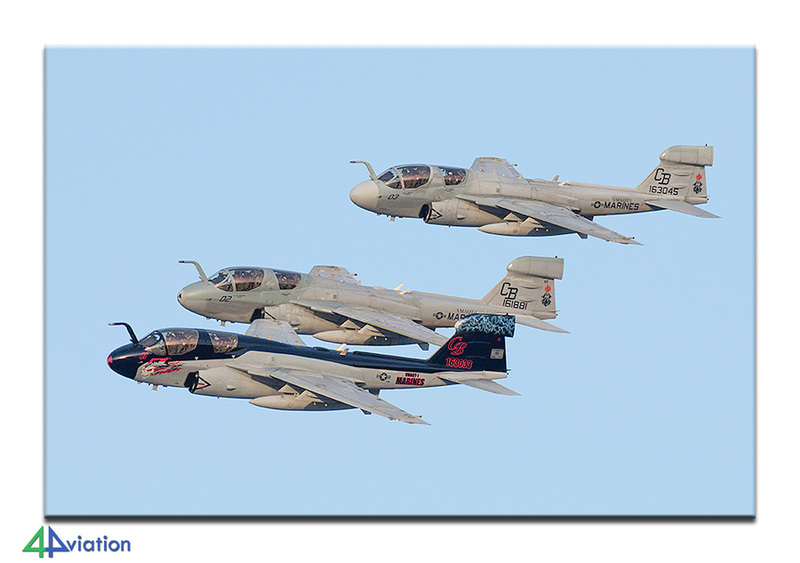 Three VMAQT-1 flying EA-6B Prowlers took off for farewell formation flypast as the units will be inactivated soon and the type retired from US service all together. Just before that a couple of aircraft arrived for the open days; two F-16CM of McEntire and a WC-130J Hurricane Hunter. After the EA-6B flypast everyone was very satisfied with the result. 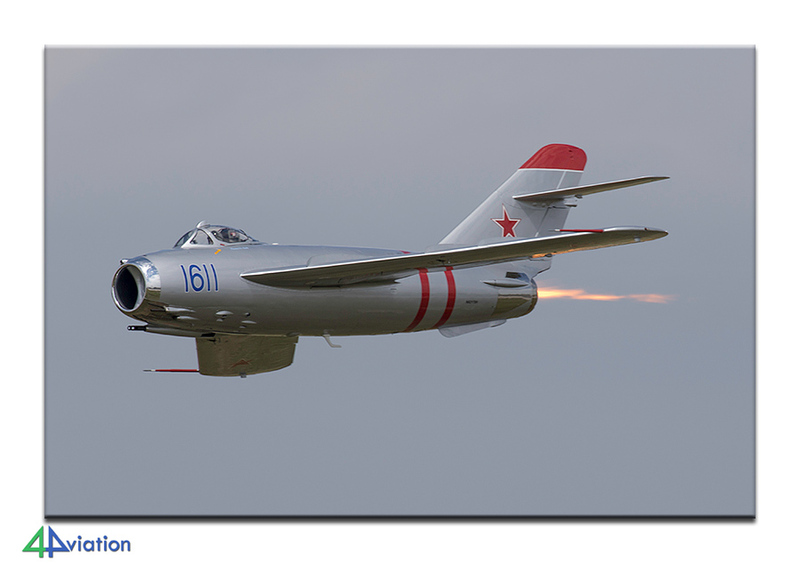 It quickly became dark and the evening show began, including a MiG-17 (Lim-5) which came storming down the runway with a big flame in its pipe. Great to see. Because we still had to drive quite a bit to our hotel we decided not to leave too late; When we finally drove off the field the show was also finished. After more than an hour’s drive we arrived at the hotel and we could finally enjoy a good rest. On Saturday, 30 April, we left the hotel at half past seven and reported at the gate for our press cards around 8am. The administration was different than yesterday but eventually we got our passes. Transport to our spot on the field was again in small groups. The last group arrived around half past ten. The flying programme started later in the morning and it was still cloudy. Some of us decided to walk along the flight line to photograph several Harriers, EA-6B and Ospreys and the CH-53s in the maintenance area. That was no problem, everything went very relaxed. 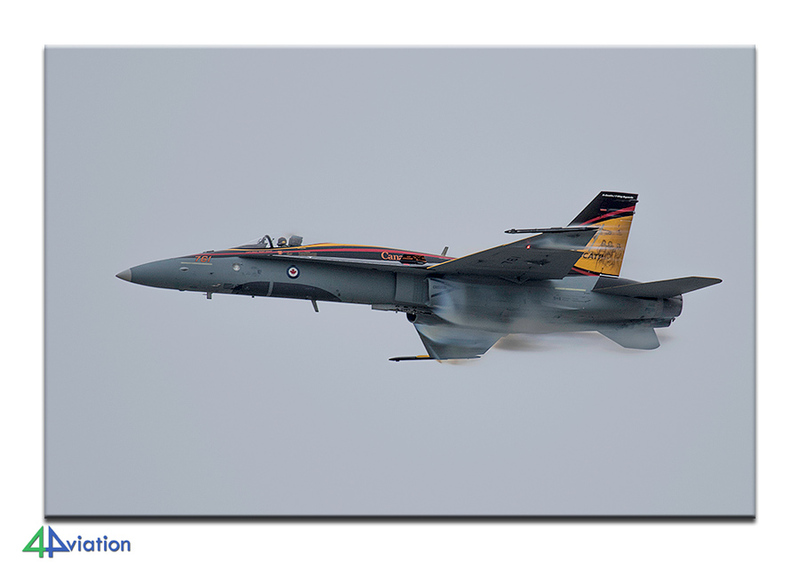 The Blue Angels gave their show, plus there was a demo of a Canadian CF-188 Hornet in special colours. 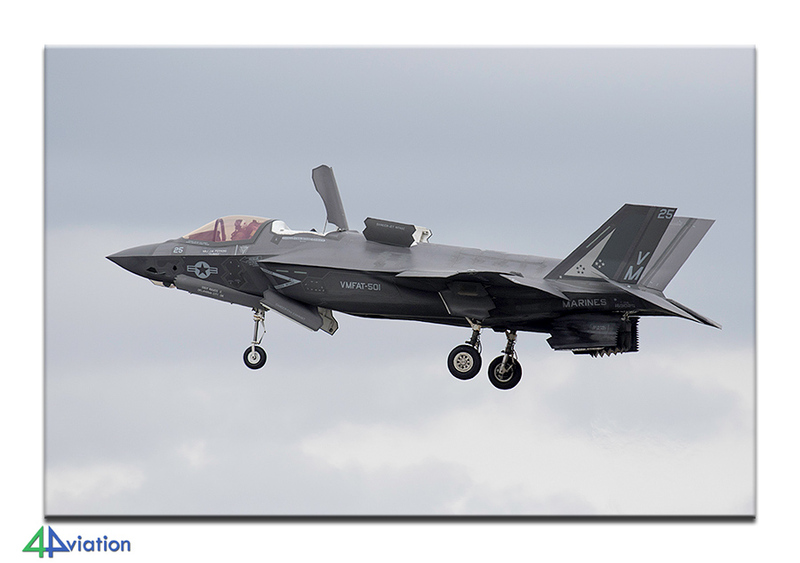 The Raptor demo was flown with a ‘TY’ F-22A. The air power demonstration was nice but since the clouds were below 1500 ft the Hornets and AV-8B could not take off to join the demo. 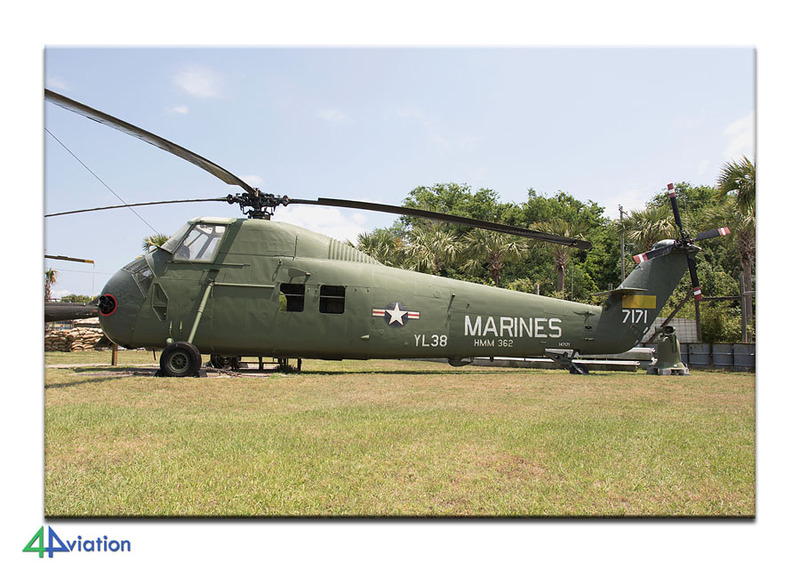 That was unfortunate but fortunately the CH-53E, Cobra, Huey and Ospreys were photographed well. All in all a great day even though it was difficult to leave the airfield. 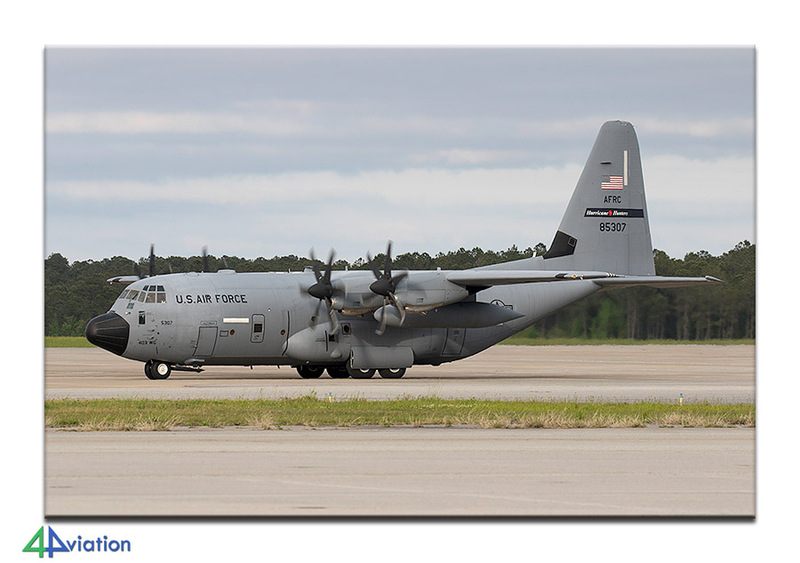 We had heard that some KC-130Js would stand at an airfield nearby. Well, what do you do? Go there of course! 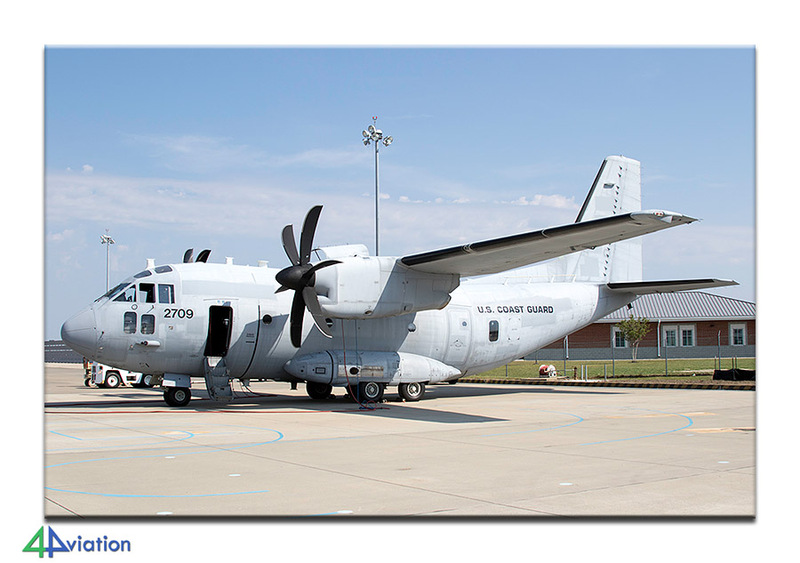 We saw three KC-130Js who just came from Europe and one C-123 and preserved AV-8A. At half past twelve we, eventually, were only in our hotel in Richmond. It was late and the lady behind the counter said she had no rooms left for us … After insisting many time to look again and the assistance of a colleague who was summoned to show up they found our reservations. By now it had become Sunday already for many of us. The last day of the trip, Sunday 1 May 2016. Too bad, the trip is almost over. Even the weather had adapted; it rained. Opposite the motel was a museum and here are an A-7D and F-14D outside. After capturing these on our SD cards we drove to the Smithsonian Museum in Washington. Here we had about two hours to visit this beautiful museum. There are many nice aircraft here and even an original Space Shuttle. You are amazed by the size of this huge machine. After this visit we drove to the airport and handed in our cars, checked in and said goodbye to our French travel companion. With the same 19 guests we board our flight to Amsterdam, again with a KLM-Air France A330-300. The flight went well. At seven o’clock in the morning we touch down on the runway. It was now Monday 2 May and the trip was over. Everybody could look back at a fun trip again. Also I am looking back to a great time, nice pictures, fun group and great experience.